Sportsplex owners and operators face unique issues in the purchasing of their General Liability policy. Purchasing General Liability insurance for any sports organization can be challenging due to the limited number of quality insurance carriers; however, the available marketplace for sportsplexes is even more limited. While quality insurance carriers are readily available to write General Liability for teams/leagues/camps/individual sports instruction, there are probably less than five insurance carriers that will consider writing a sportsplex on an acceptable policy form. Coverage can be even more difficult to obtain for the “start up” sportsplex in a newly designed facility or if the management has less than three years of experience in operating a sportsplex. The insurance carriers believe that a newly designed facility has not had adequate time to uncover all of the unforeseen perils due to design issues that could unexpectedly lead to spectator or player injuries. TEAMS/LEAGUES: includes both the actual managing of teams/leagues by the sportsplex and the leasing of facilities to other teams/league that manage their own operations. In cases where the facilities are leased to other teams/leagues, proof of adequate Accident and General Liability insurance must be obtained. Waiver/release forms must be required on behalf of all participants whether managed by the sportsplex or by a team/league that is leasing the facilities. CAMPS/CLINICS/INDIVIDUAL SPORTS INSTRUCTORS: includes both the actual managing of camps/clinics/individual sports instructors and the leasing of facilities to other organizations to conduct these activities. In cases where the facilities are leased to other camps/clinics/individual sports instructors, proof of adequate Accident and General Liability insurance must be obtained. Waiver/release forms must be required on behalf of all participants whether managed by the sportsplex or by the camps/clinics/individual sports instructors that are leasing the facilities. SPECIAL EVENTS: includes birthday parties, sleepovers, company social outings, etc. 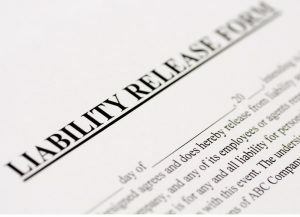 Waiver/release forms should be required. DROP INS FROM PUBLIC: members of the public pay drop in fees to participate in sports and recreation activities for a single day. 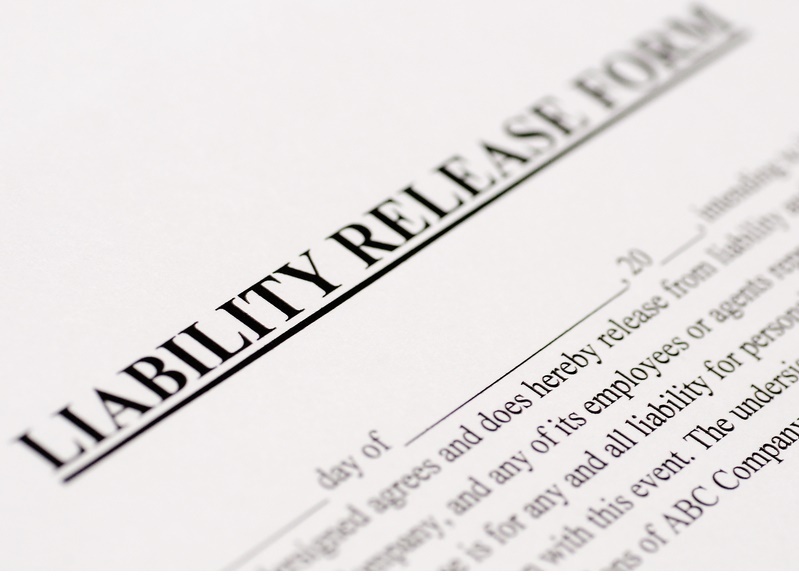 Waiver/release forms should be required. SALES OF PRODUCTS: includes sales of food, drinks, alcoholic beverages, sporting goods, clothes, etc. 24 HOUR PREMISES EXPOSURE: since sportsplexes own their facilities or are under a long term lease, they are responsible for injuries that occur after hours and during the off season (if any). The standard General Liability policy form pays covered claims alleging “bodily injury”, “property damage”, and “personal/advertising injury” caused by an “occurrence” and not subject to the standard policy exclusions or any non standard policy exclusions that may have been added by special endorsement. The typical types of claims filed against sportsplexes include spectator slip/trip/fall injuries and injuries to sports participants. A sportsplex should always buy an “occurrence” policy form instead of a “claims made” policy form. The superior “occurrence” policy form pays covered claims as long as the policy is in force when the injury occurs. It does not matter if the policy is subsequently cancelled and a claim is later filed. On the other hand, the inferior “claims made” policy form pays covered claims only if: 1) the policy is in force when the injury occurs and 2) the same policy or renewal of the same policy is in effect when the claim is filed (unless the Extended Reporting Period provision is activated). A “claims made” policy is risky for a sports organization such as a sportsplex because a sports participant who is a minor can wait until the age of majority (usually 18 in most states) plus an additional two years for the statute of limitations to run before filing a lawsuit. In some cases, this could be a period of 15 years. “Claims made” policy forms provide too many opportunities for problems to arise if a new carrier is selected upon renewal or if the policy is non renewed or cancelled due to non payment of premium. WARRANTY OF ACCIDENT INSURANCE: Most General Liability carriers that insure sportsplexes will require that Excess Accident insurance be carried on all participants (both by the programs run by the sportsplex and by other sports organizations that lease the facility); otherwise, the General Liability coverage may be voided. The reason for this requirement is because Accident insurance acts like a first line of defense to protect the General Liability carrier from paying a claim. If the Excess Accident policy guarantees that the injured participant (or parent) will not have to incur out of pocket medical bills, this takes away much of the incentive to file a lawsuit. Most General Liability carriers require the Excess Accident limit to be at least $25,000. However, there are some General Liability carriers that do not require that Accident insurance be carried. This can result in savings on the front end to the sportsplex but such savings will not be realized in the long term if a resulting lawsuit (that could have been prevented by carrying Accident insurance) causes a significant increase in General Liability renewal pricing or if a renewal can’t be obtained at any price. WARRANTY OF WAIVER/RELEASE: most General Liability carriers that insure sportsplexes require that an approved waiver/release form be signed by all participants (and parents in the event the participant is a minor);otherwise, coverage may be voided in the event of injury to a participant. ATHLETIC PARTICIPANT EXCLUSION: This exclusion takes away “bodily injury” and “property damage” liability coverages in the event that an injured athletic participant files a lawsuit. The definition of “participant” varies from one carrier to the next but generally includes the players as well as any other persons that are granted access to restricted areas that are not normally open to the public. The bottom line is that this exclusion is totally unacceptable because these types of lawsuits represent a large percentage of those that are likely to be incurred by a sportsplex. Without this coverage, the only remaining coverage of consequence is that for lawsuits arising out of injuries to spectators. Please note that coverage for lawsuits arising out of injuries to participants is available under the policy unless the “Athletic Participant Exclusion” is found on the policy. However, some insurance companies like to affirmatively show that this coverage exists by calling it “participant Legal Liability”. PLAYER VERSUS PLAYER EXCLUSION: This exclusion acts exactly as its name indicates by taking away coverage in the event that one player is sued by another player resulting from an injury. This exclusion first arose out of the context of professional sports to preclude coverage for a player who maliciously and intentionally injured another player during a competition. For some unknown reason, this exclusion has now found its way into amateur sports General Liability policies. Most of the carriers that use this exclusion clarify that it does not apply to preclude coverage for the sports organization and its directors, officers, employees and volunteers in the event that they are also “shot gunned” into a lawsuit where one player injures another player. This clarification takes most of the sting out of this exclusion. ABUSE & MOLESTATION EXCLUSION: This exclusion has become increasingly popular over the past ten years on sports General Liability policies. It is important to note that this exclusion goes beyond the mere context of sexual molestation and includes other forms of child abuse including physical, mental, and emotional abuse. Some insurance carriers will allow a “buy back” for this coverage if the sportsplex has a risk management plan in force to minimize the chances of an incident. Such a risk management plan can be found on our website as follows: go towww.sadlersports.com and click on “teams/leagues” and then click on “Risk Management”. As a general rule, not only is the alleged abuser likely to be sued, but also the sportsplex and its directors and officers are usually sued for failure to screen the volunteer or for failure to appropriately respond to an allegation of abuse. In other words, the personal assets of the directors and officers can by on the “chopping block”. PUNITIVE DAMAGES EXCLUSION: Many General Liability policies contain an exclusion for that part of the total damages that are attributable to punitive damages. Punitive damages are damages that are meant to make an example out of the wrongdoer by adding extra punishment over and above the normal damages. The better insurance carriers that write sports liability coverages do not have this exclusion unless it is required by particular state law. CONTRACTUAL LIABILITY LIMITATION: “Contractual Liability” is a component coverage of a General Liability policy that provides protection in the event that the sportsplex enters into a contract containing a hold harmless or an indemnification provision whereby it assumes the liability that would normally belong to the other party. Any exclusion which limits or takes this coverage away is unacceptable to a sportsplex that may enter into contracts (ex: leases) with these types of hold harmless/indemnification provisions. 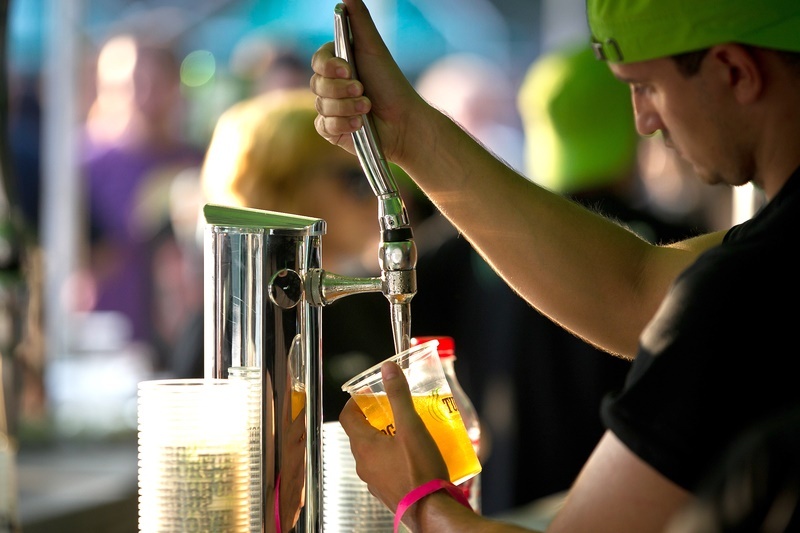 LIQUOR LIABILITY: Sportsplexes that sell alcoholic beverages should either endorse the General Liability policy to add Liquor Legal Liability or a stand alone policy should be purchased. Sportsplexes that contract out the serving of alcoholic beverages to a vendor should consider purchasing a Contingent Liquor Liability policy. NON OWNED-HIRED AUTO LIABILITY: If the sportsplex does not carry a separate Business Auto policy, the General Liability policy can be endorsed to add Non Owned-Hired Auto Liability. This coverage will protect the sportsplex in the event that it is sued as a result of the use of a vehicle owned by an employee that is used to run an errand on behalf of the sportsplex. Under most state laws, the following parties can be sued when there is an auto accident: 1) the owner of the vehicle, 2) the driver of the vehicle, and 3) any organization (sportsplex) for whose purpose the trip is made. ABUSE & MOLESTATION BUYBACK: The buyback may be available for sportsplexes that are willing to implement certain risk management controls such as educational programs for administrators and volunteers, background checks on all employees and volunteers who have repeated access to youth, and the implementation of policies and procedures that make an incident less likely to occur. EMPLOYEE BENEFITS LIABILITY: This endorsement can be added to a General Liability policy to cover claims alleging negligence in the administration of employee benefit programs. An example would be the negligent omission of a new employee under a Group Health plan and a resulting claim that is denied. Go to www.sadlersports.com/sportsplexinsurance and print off an application, complete, and return to Sadler & Company, Inc. Please be sure to indicate that you are a SODA member. Disclaimer: The content of this article is in no way meant to provide legal advice or specific insurance advice given to a particular sportsplex, but instead is meant to convey general insurance and risk management principles. 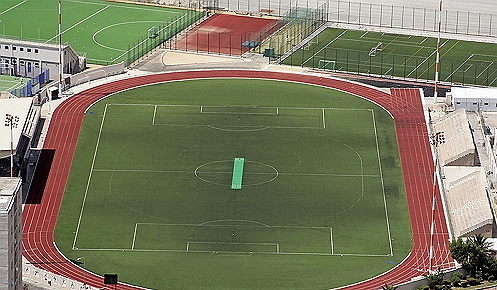 An attorney and insurance agent should be consulted for specific advice based on the unique risk characteristics of each sportsplex.